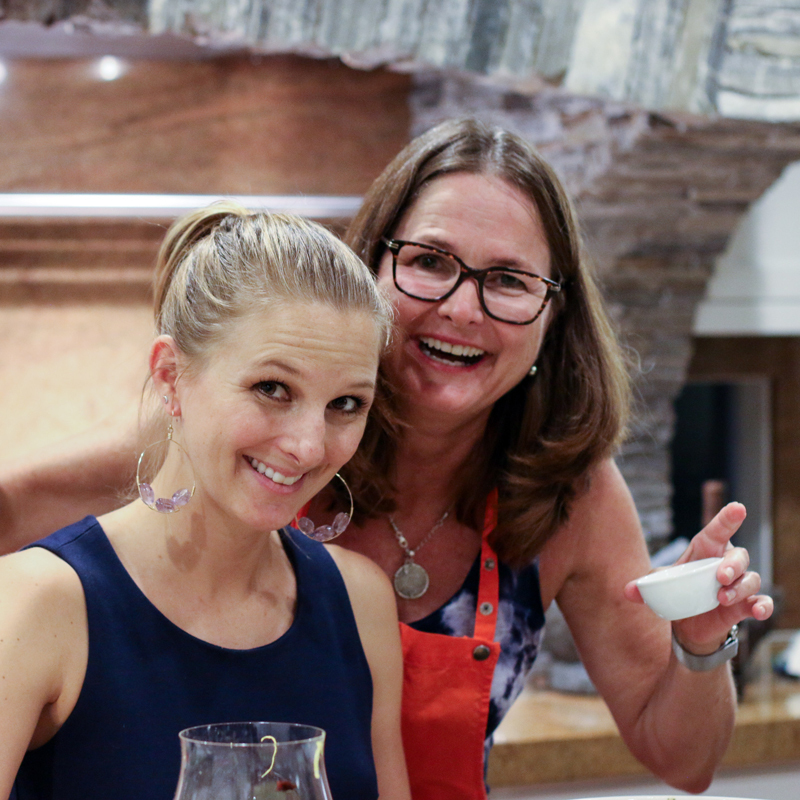 I spent a weekend cooking in Sun Valley with some girlfriends and Marcia Smart, a cooking instructor and food writer from Houston. One of the dishes we made were no-cook Fig, Goat Cheese And Prosciutto Rollups, based on a Bon Appetit recipe published in December 1997. When I returned home, Keitt mangos were in season, so I used the same technique, but varied the ingredients for a tropical version. I used Serrano ham instead of prosciutto. Like prosciutto, Serrano ham is a dry-cured ham that comes from Iberico, Spain. It is cured a little longer than prosciutto, and I think has a little bolder flavor. You could use either Serrano ham or prosciutto for this recipe. To get the best presentation, slice your mango very thin and ask your butcher to slice the ham a little thicker than the normal paper thin slice. Also, spread the goat cheese all the way down the ham slice, but keep two to three inches of the tail end of the roll free of mango and herbs. This will help your rolls stick together. 1 large mango, peeled and thinly sliced into 1" x 1/2" x1/8" pieces. Combine the lime zest and juice in a small bowl and whisk in the olive oil to create an emulsion. Season with salt and pepper to taste. Set aside. Lay the Serrano ham out in rows on the counter and spread each slice with a thin smear of goat cheese. Arrange the mango slices down on each piece of goat cheese-covered ham, covering evenly, but stopping 2 - 3 inches short of one end of the Serrano strip. 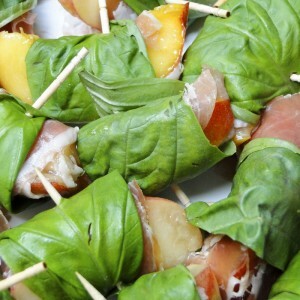 Alternate mint and basil leaves on top of the mango and down the length of each ham slice, also stopping a couple inches short of one end of the ham slice. Drizzle each slice with a little of the lime and olive oil mixture. Starting at the end of the ham slice with all of the goodies, roll up the slices to create a roll. The tail end, without the mango and greens will make it easier to finish the roll and help keep the roll together. Slice each roll in half, crosswise, placing the cut side down on a serving platter. Mango rolls can be eaten immediately or chilled for several hours in the fridge.